It was a joy to work with Jim and Justin in building our home. This was the third house we had built, the first with KTH. What a difference the experience turned out to be in comparison to the other two projects. Jim must be one of the most patient people I have ever met and always so calm, you wonder if he had his morning coffee. He said he wanted the experience to be “fun” and it was. The house, on a difficult lot (all sand, waterfront) has exceeded our expectations. KTH was able to beautifully execute the Peter Manning design and get us in on time. I would highly recommend Jim and Justin, they were amazing. We knew we would be working with Jim Ingalls of Kitsap Trident Homes almost as soon as we met him. It turned out to be several years before our project actually began, but Jim’s calm confidence and easy expertise as we walked our building site had stayed with us. When our architect suggested Kitsap Trident during our first interview, we knew it was meant to be. Jim and Justin were both very attentive and considerate throughout the entire process of planning, permitting and building our new home on Bainbridge Island. Equally important is the fact that they stood behind the finished product and attended promptly and responsibly to all the follow-up matters that inevitably occur after move-in. We are truly pleased with our new home and the relationship we continue to have with the Ingalls family. They are professional, personable and caring in every aspect of their business. We couldn’t be happier with the results of our choice of Kitsap Trident Homes to build our long-planned home. My home on the beach, a dream for many years, became a reality when working with Kitsap Trident Homes, Inc. Their personal dedication addressed every aspect of my project, quality of workmanship and materials, as well as meeting personal project requests. 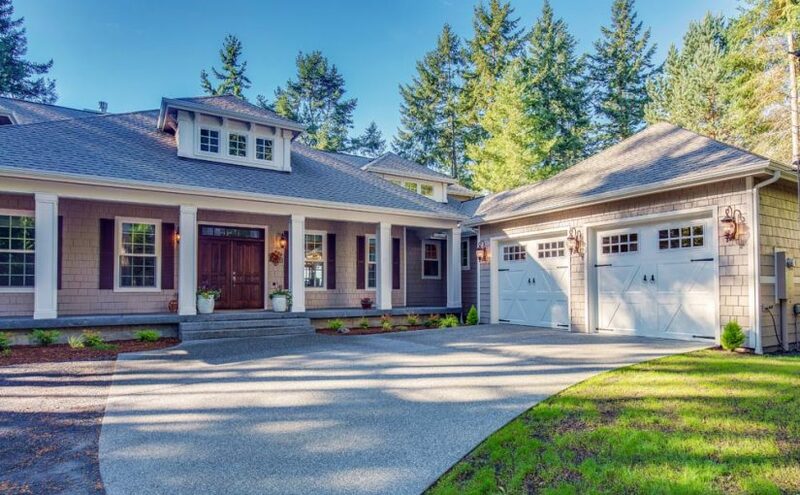 If I offered one wish to new construction home owners, it would be that they find the satisfaction with their finished project that I have found working with Kitsap Trident Homes and personally with Jim and Justin Ingalls. I’d like you to know that I’ve worked in the construction industry for over 35 years. From the initial bidding process to the completion, I found KTH to be the very best I’ve worked with. Everyone at KTH was professional, responsive and accessible at all times. No problem was ever too small and the project was completed in the highest level of quality; on time and on budget. I would recommend KTH without reservation to anyone contemplating any project of any size. We are extremely grateful to you and your entire team for giving us your very BEST! Kitsap Trident Homes recently completed building our beach home at Point No Point in Hansville. They approached the project with creativity, ingenuity and the highest level of craftsmanship. The worksite was always clean. The subcontractors were on time, highly skilled and courteous to our neighbors and us. Justin & Jim were organized, professional, patient and very easy to work with. We felt included in the process every step of the way. Our home is beautiful, energy efficient and comfortable. The quality of construction is exceptional. We wouldn’t hesitate to recommend Kitsap Trident Homes to anyone building a new home or remodeling an existing one. It was a pleasure to work with Jim and Justin in building our new home. Justin took our original pencil home sketch and created the design plans and then built our wonderful home. He has a keen designers sense, and made numerous great suggestions throughout the design and build process. There was great strategic planning that KTH performed in the placement of the house on our sloping lot to maximize our house sight lines and avoid removing any of the native trees and vegetation on our lot. Further, it was especially appreciated that changes we made in the build process were accommodated so we got the home we desired when it was all finished. There was an exceptional group of high caliber subcontractors that were used which is obvious in the completed home. We are extremely pleased with the home KTH built and receive many compliments. We both would highly recommend Kitsap Trident Homes. We recently moved into our new home built by Jim and Justin at Kitsap Trident homes. It was truly a rewarding experience. They always had time to meet with us, answer any questions, and make helpful suggestions along the way. It was evident how much they cared about making us the best home possible within the plans we presented them. We always knew were we stood regarding our budget which made it easy to decide on upgrades as we went. Our home and the building experience exceeded our expectations in every way. Every sub contractor worked up to the high standards set by KTH. We would happily recommend Jim and Justin to anyone looking for a great building experience.